Metaphors can be seen as in the center of understanding the world around us, shaping the reality and solving the problems. The aim of current study was to identify mental images (metaphors) that para-badminton athletes have related to badminton. Data were collected from 60 athletes, who played in 2015 Para-Badminton Turkey Championship. The metaphors have been analyzed with semi-structured interview form. Qualitative (content analysis) and quantitative (frequency and percentage) data analysis techniques have been used to analyze the collected data. According to the findings of this research, para-badminton athletes have come up with 20 metaphors for badminton. These metaphors have been grouped under 10 categories. The findings show that life (n=11), boyfriend/girlfriend (n=6), love (n=5), energy source (n=3) and blood (n=3) metaphors stand out compared to the others. These metaphors can be used as a research tool to understand disabled athletes’ perceptions. ISNAD Katırcı, Hakan , Yüce, Arif . "EFFECTIVE COMMUNICATION IMAGES FOR DISABLED PEOPLE IN SPORT: A CASE OF TURKISH PARABADMINTON ATHLETES". 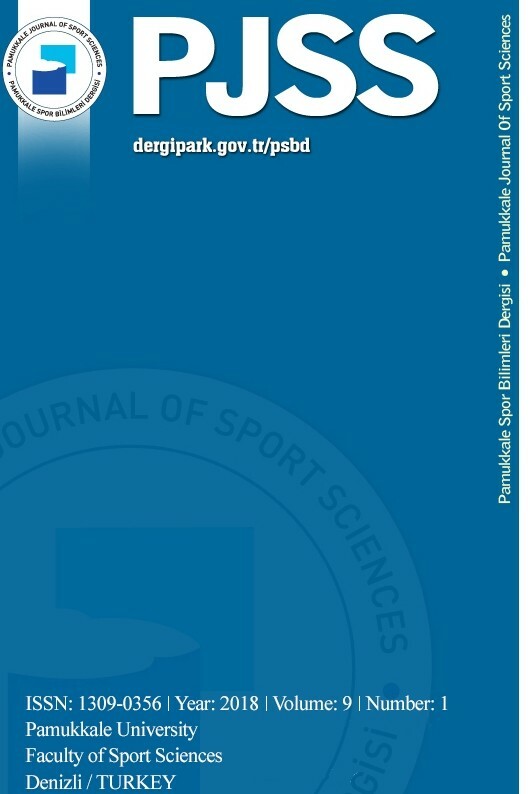 Pamukkale Journal of Sport Sciences 7 / 2 (May 2016): -.